"Just a great realtor and someone you can trust! Helped us buy a great house at a tremendous value even after we had to see dozens of homes before making a decision. Very patient and puts clients first above all else." "I appreciated the no-hassle approach on my decision making. Thank you for being flexible and listening with understanding on my buying process. You were great to work with!" "Kara was absolutely great throughout the entire process. Kara went above and beyond doing several things that helped to ensure the house sold. I will without a doubt recommend her to other friends looking to buy or sell a property." "I am totally satisfied with the service Kara provided. She went above and beyond in every aspect of the process. I would recommend her to my closest friends!" "This was my first experience with selling a home. I was stressed going in, but Kara took care of everything. We first met and went over expectations and proper pricing for my house in the current market. She got me a price and even estimated how long she expected the house to be on the market. She was honest, professional and accurate with everything she told me. If you are in the market to buy or sell don't go anywhere else. Call Kara, you won't regret it." "Kara is the best! She did a great job helping to find a rental unit. She was very responsive and extremely helpful. She gave us good guidance and was very flexible with our schedules. I would recommend her to everyone!"  "You will not be disappointed with Kara Keeton. She is friendly and fun and she listens to your wants and needs. Doesn't pressure you at all just very helpful in all aspects of the home buying process." "Kara is a wonderful agent with dedication and patience for the customer. My wife and I definately feel like she went above and beyond and made our experience very pleasant and comfortable. She is a real joy and treat to have helping you. I would recomend her to anyone at any time." "Kara did an excellent job. She showed us a great deal of houses in the areas that we were looking for with a very short notice and several changes on our itinerary, even few hours prior to meet us. At all times she had a great attitude, she was not overwhelming in her communication about the house but would answer any questions we would ask, in the case she did not know the answer, she would follow up on the same day on them. I would surely recommend Kara to any friends, relatives or co-workers when looking for housing as she seems to enjoy her job and that helps when you are trying to define your future home."